It's not an April Fool's joke. I didn't hate “Power Rangers.” Of course it's not really that great of a movie, but it's far from terrible, and feel just unoffensive enough to make it worth existing. While the trailers promised Transformers-level action and dumbness, it's far better than those eye-roll inducing excuses for entertainment. 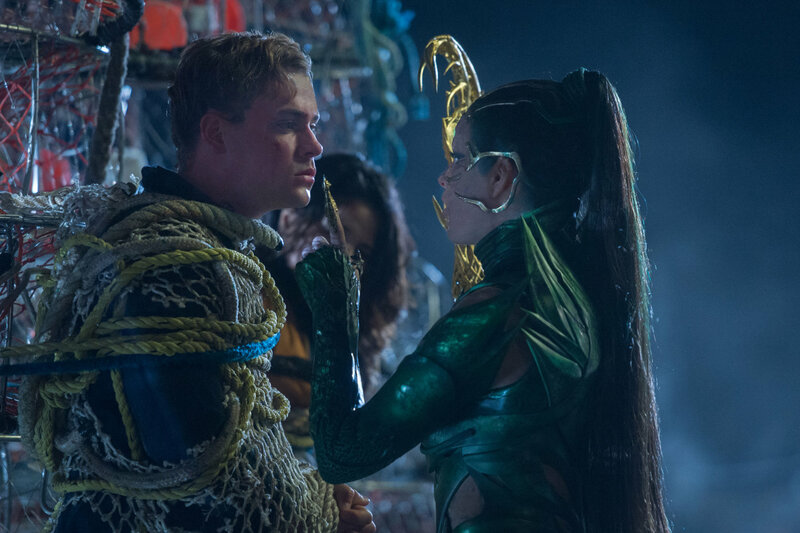 Those nostalgic for corny entertainment from their childhood will certainly be curious about “Power Rangers.” See it because Elizabeth Banks is in it and hams it up nicely. And stay because it's definitely not the worst thing you'll see in the theater this year. It doesn't focus on endless, repetitive action scenes; character development somewhat exists here if you can believe it and it's probably because an Oscar-nominated screenwriter actually wrote this thing. Taking a cue from many other superhero, comic, and other big screen reboots, “Power Rangers” is a gritty take on the corny 90s kids show about teenagers who fight weird monsters and aliens in bad rubber suits, morph into bright, colorful uniforms, and ride around in vehicles shaped like dinosaurs. Every single episode followed the same lame formula and kids (myself included) ate it up for some reason. No, “Power Rangers” doesn't need to exist. It's not going to change lives of its audience or win awards. But you can see a modicum of talent bubbling beneath the surface here. The five young actors (who are supposed to be teenagers but are clearly too old to be in high school) are actually pretty decent and do a good job at making their characters likeable, relateable, or at least have more than one dimension. Newcomer Dacre Montgomery, taking on the role of rebellious good-looking jock whose injury has crushed his football dreams, is quite charismatic in the role of Jason. He'll eventually become the Red Ranger and be the group's leader. There's forlorn cheerleader Kimberly (Naomi Scott) who becomes the Pink Ranger. The nerdy, semi-autistic genius Billy (RJ Cyler) as the Blue Ranger. The mysterious loner Zack (Ludi Lin) who's the Black Ranger. And Trini (Becky G.) the fiery Latina whose parents don't understand her, as the Yellow Ranger. The film certainly takes its time with these kids and it's for the better. Once they actually become Power Rangers all the good character stuff gets traded in for action. And then of course there's Elizabeth Banks who's in this thing for some reason. I'm guessing she lost a bet. But then how does one explain the appearance of both Bryan Cranston and Bill Hader? It doesn't matter. These actors careers are safe. There's nothing particularly horrible here. 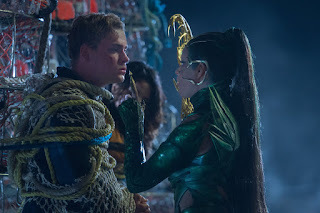 Banks hams it up as Rita Repulsa who was actually a ranger back in the day (in the day of the dinosaurs to be exact) and betrays the group killing all the other rangers. And she's somehow revived in modern day. The five teens stumble upon five colored coins that gave the rangers their power. The rest is history. Screenwriter John Gaitins does his best with the silly source material. It's pretty much played straight and works decently enough. Director Dean Israelite is having fun here and you can see he has a fun visual eye. There's even an early scene involving in a long take in a pickup truck that's quite impressive. But finally, unexpected things happen.